JUST LISTED IN HICKORY CREEK! It’s all about the details in this DREAM HOME! 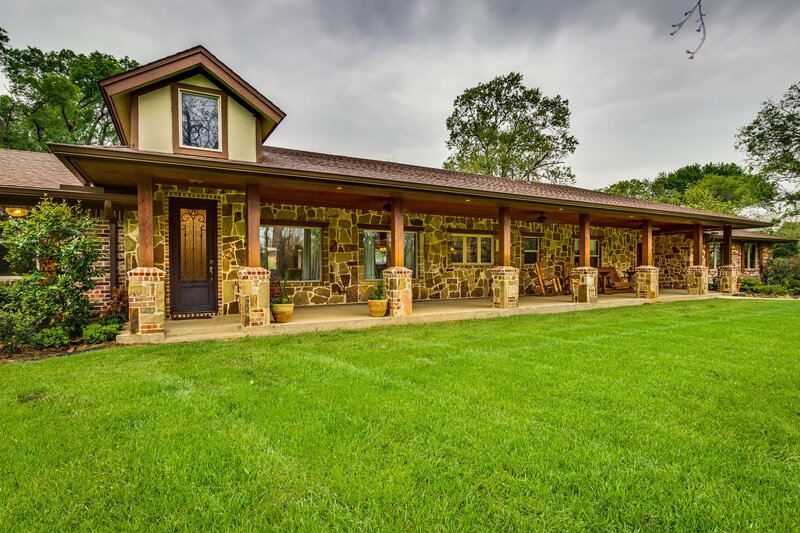 Resting on 4 acres of lush land just a short distance from the lake, this home underwent a complete remodel down to the studs in 2008 and added a luxurious addition in 2013. Warm wood, rustic features and neutral tones greet you as you enter your exquisite kitchen. Exposed brick flooring, stainless steel appliances and a farmhouse sink are just a few of the attributes. The master exhibits a spacious en suite with dual vanities, luxurious tub, separate shower and a walk in closet. Not only is there a saltwater pool and attached spa, but your very own outdoor living center awaits you; complete with cabana, fireplace, bar and grill for rain or shine get togethers!